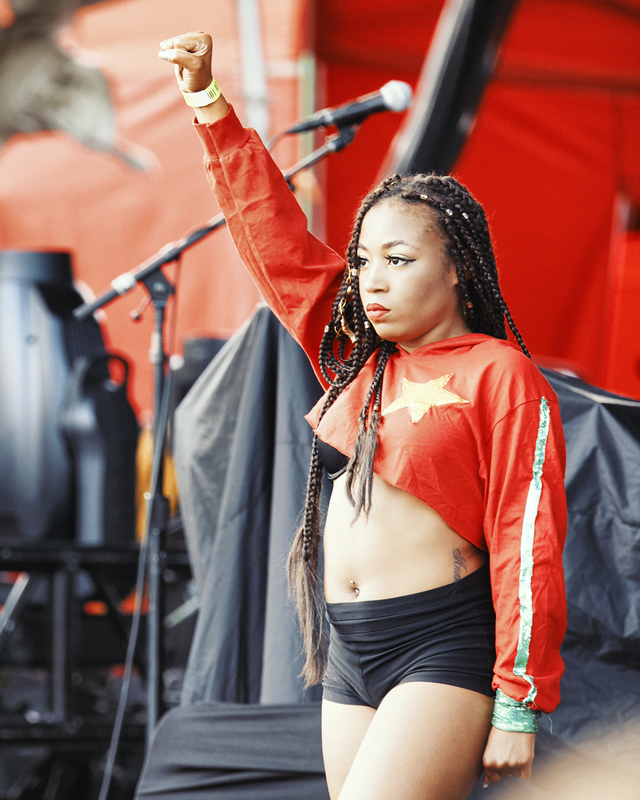 We kicked it off over at Red Hat for M8alla, self-described in Indy Week as singing “for immigrant women with American degrees and bottom grillz.” Her band brought some rocking guitars and 4 dancers with gold-plated (spray-painted?) assault rifles. Due to some “weather,” forcing Red Hat to kick everyone out of the venue, we bounced over to City Plaza to catch that venue’s first two acts of the night. Kicking it off was Chapel Hill’s Mipso, bringing some soft, dreamy Americana with violin, mandolin, and upright bass. Their frontman’s McConaughey-good-looks will open some doors [Legs? -Ed.] for the band in the future. Watch the official video for “Moonlight” here. 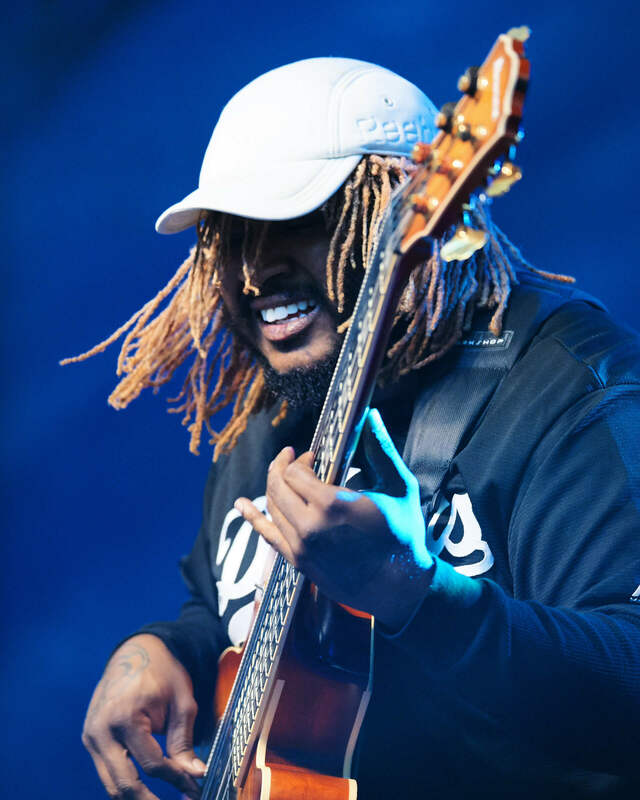 Next up was Grammy-winner Thundercat, whose far-out bass shredding was too much for RDU Music’s Yang. I described it as soul singing on top of a less avant-garde Mr. Bungle but Yang had this to say: If you ever wanted to experience an epileptic seizure without having to bite down on a pencil and incur ruthless medical bills, then this Thundercat performance was catered just for you. 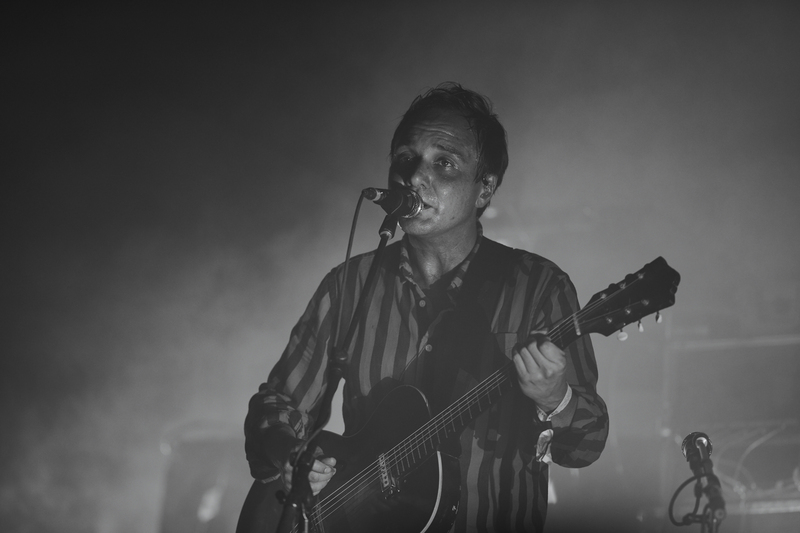 Grizzly Bear has been a gold standard of indie rock since the mid-2000’s with landmark albums Yellow House and Veckatimest. I’ve had the pleasure of seeing them multiple times during that span. Their headlining performance on the City Plaza stage marked the first time in at least 8 years that I’ve seen them live. Unfortunately, I had to join the show at the last half while covering other acts but walked up to a crowded City Plaza. Much like Wolf Parade from 2016’s Hopscotch, I was happy to see that time had passed these indie stalwarts by when it came to sound and crowd support. The little I saw was enough to know that they haven’t lost a step when it came to performing their older material and making fans of their more recent offerings. I forsook Grizzly Bear’s set – leaving the coverage in Yang’s capable hands – to head back to Red Hat so that I could see what all the fuss over Miguel was about. It wasn’t 5 minutes into the set when I realized why all the girls were screaming for him. Whatever “it” is, that boy has it in spades. He opened atop a giant, white staircase on stage. The presentation was legit: smoke, lights, vid screen with golden booty, and actual live instrumentation. Miguel must have studied the classics of showmanship, learning from masters such as Michael, Prince, and Marvin as he enthralled the audience from the start. His falsetto was also on point, which is always hard to do live. Early in the set, Miguel tried his hand at some stage banter. “I was told that Raleigh had a lot of babes. Is that right?” The response was a depressingly tepid cheer from the crowd so I guess poor Miguel will never know. RDU Music didn’t do as much club hopping this year at Hopscotch, choosing to focus more on the big venues but we did manage to catch a hidden gem in Charlotte’s It Looks Sad. over at the Pour House. They brought some jangly Midwestern emo with a little neo-shoegaze tinge that was expertly executed. There’s just something about an earnest, yet not classically “good” singer that tickles my fancy. Hopscotch has a whole other side of the festival that this band encapsulates. Earnest indie kids pouring out their hearts, which is not to be confused with scene kids phoning it in. A big difference exists there, one that It Looks Sad. has a firm grasp upon. I can’t wait to hear their upcoming full-length, Sky Lake, due out in November on Tiny Engines. I never thought I would get the chance to see rock legends, The Revolution, live in concert but 2018 has turned out to be an excellent year as they headlined Day 2 of Hopscotch at the Basement. Bassist Brown Mark handled the Prince vocals admirably, often letting the focus remain on the band as they sliced their way through an interesting setlist that didn’t simply churn out Prince’s greatest hits. What I always thought of as the lone throwaway track on Purple Rain, “Computer Blue”, featuring prominently at song 2. Wendy and Lisa still sounded good while keyboardist Matt Fink turned up in his classic surgeon’s outfit, making for a fun trip down memory lane. In RDU Music’s 2nd terrible coverage choice of the festival – oddly also Sonic Youth-related – we left The Revolution to swing by the Fletcher Theater to catch Kim Gordon’s new project, Body/Head. They employed a very minimal setup of just a few amps and a large film projector, all to simply make squawking noises that barely amounted to music. I had gotten turned around looking for the men’s room so I stopped to ask a middle-aged usher for directions. The look on her face was one of pure incredulity mixed with disgust at the sounds coming from the stage. Sadly, we shared her sentiment and called it a night. Hopscotch 2018 Day 2 winner: Miguel and It Looks Sad.